Our Next Journey “Knowing Thy Self” is a meditation which teaches you how to become more aware of those in the spiritual realms, which energy vibrations are around you on a daily basis and how to identify them wherever you are. 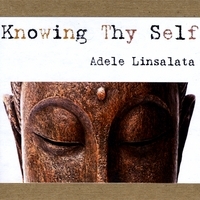 Knowing Thyself Our Next Journey “Knowing Thy Self” is a meditation which teaches you how to become more aware of those in the spiritual realms, which energy vibrations are around you on a daily basis and how to identify them wherever you are. Knowing Thyself in all ways is what is needed as you open yourself up to more and more different energies around you. These are the exact teachings I do in my classes and I wanted to offer them to you in this unique way. “Peaceful Healing” is an energetic attunement meditation which brings you into awareness of peacefully healing the emotional issues within your body. Journey with Archangel Raphael, as you receive his energetic attunement- assisting you to releasing emotional traumas to bring peace into your life.